To begin with the end in mind means to start with a clear understanding of your destination. It means to know where you’re going so that you better understand where you are now, so that the steps you take are always in the right direction. Assessment is an integral part of teaching and learning process. Assessment policy informs the importance of assessments to all the stakeholders involved. Being an inclusive school which aims to cater to the individual needs of the students, it becomes important to have a comprehensive assessment policy which is inline with IB assessment philosophy and requirements. We need to move away from the concept of assessment as judgement & competition or as a way to obtain grades. We need to move towards a vision of assessment as reflection that can improve classroom instruction. To effectively guide students through the five essential elements of learning: the acquisition of knowledge, the understanding of concepts, the mastering of skills, the development of attitudes and the decision to take action..
To ensure that the assessment process is aligned with IB assessment objectives. To ensure that the assessment process is reliable and trustworthy. To ensure that everyone concerned with assessment, including students, teachers, parents and administrators, have a clear understanding of the reason for the assessment, what is being assessed, the criteria for success, and the method by which the assessment is done. Primary greatness is the greatness that each individual can attain by achieving both competence and character.To become leaders, students are expected to take responsibility of their own lives, learn to work more effectively with others and to do the right thing even when no one’s watching. This is how we define leaders. Not everyone may want to or can become business or political leaders or leaders in sports or arts, but becoming a leader as defined above is the kind of leader that everyone can become. When we say that one of the purpose of the assessments is to effectively guide students through the five essential elements of learning: the acquisition of knowledge, the understanding of concepts, the mastering of skills, the development of attitudes and the decision to take action & also to develop internationally minded people, we thereby nurture students to develop competence and character leading to Primary greatness. Connection with the other policies: The assessment policy should be read in conjunction with the schools language policy, admission policy, ICT policy and Special Needs Policy. Student learning is promoted through planning and refining the teaching & learning process to meet the individual or group needs. Assessing students prior knowledge, their experiences during the teaching period enables the teachers to plan & refine their teaching accordingly. Following the constructivist approach of teaching, teachers assess students prior knowledge and experience before embarking on new learning experiences. at the beginning of a new academic year to assess their Literacy & Numeracy skills, which provides feedback of all the students to their teacher. Prospective students interested in enrolling in Fountainhead School also give a pre-assessment test to inform the school about their learning stage. Formative assessment is interwoven with the daily teaching and helps teachers and students find out what the children already know in order to plan the next stage of learning. Formative assessment serves as a feedback to teachers about the learning process. Formative assessment occurs throughout a learning unit or process. Summative assessment takes place at the end of the unit of inquiry or the process. It gives the students opportunities to demonstrate what has been learned. Even giving opportunity to the teachers and parents to evaluate progress over a period of time. The summative assessment can assess several elements of, What do we assess simultaneously. It is a formal ending point to a taught unit or of a process, but not necessarily the end of student’s learning in the areas being assessed. An assessment requires students to use the same competencies, or combinations of knowledge, skills, and attitudes, that they need to apply in the criterion situation in professional life or real life situation. An authentic task is a task that resembles the criterion task with respect to the integration of knowledge, skills, and attitudes, its complexity, and its ownership. Furthermore, the users of the assessment task should perceive the task, including above elements, as representative, relevant, and meaningful. The setting in which the assessment takes place needs to be as authentic as in real life.The physical context also includes the time authenticity of the resources as well as the time taken in real life to solve the problem. If the real situation demands collaboration, the assessment should also involve collaboration, but if the situation is normally handled individually, the assessment should be individual. When the assessment requires collaboration, processes such as social interaction, positive interdependence and individual accountability need to be taken into account (Slavin, 1989). Quality product or performance that students can be asked to produce in real life (Wiggins, 1989). This product or performance should be a demonstration that permits making valid inferences about the underlying competencies (Darling-Hammond & Snyder, 2000). Since the demonstration of relevant competencies is often not possible in one single test, an authentic assessment should involve a full array of tasks and multiple indicators of learning in order to come to fair conclusions (Darling- Hammond & Snyder, 2000). Finally, students should present their work to other people, either orally or in written form, because it is important that they defend their work to ensure that their apparent mastery is genuine (Wiggins, 1989). Setting criteria and making them explicit and transparent to learners before- hand is important in authentic assessment, because this guides learning (Sluijsmans, 2002) and, after all, in real life, employees usually know on what criteria their performances will be judged. Assessment criteria can also be based on the above 4 dimensions of the framework. For example, if the physical context determines that an authentic assessment of a competency requires five hours, a criterion should be that students need to produce the assessment result within five hours. Assessment at Fountainhead School is designed by teachers to incorporate a variety of methods/strategies which are relevant and motivating for the students. It is essential that they be seen as a package since they have been selected in order to provide a range of approaches and therefore to provide a balanced view of the student. Performance based Assessment provides authentic and significant challenges and problems. In these tasks, there are numerous approaches to the problem and rarely only one correct response. They are usually multimodal and require the use of many skills. Audio, video and narrative records are often useful for this kind of assessment. In broad terms, there are three types of performance-based assessments: performances, portfolios, and projects. Students are observed often and regularly, and the observations are recorded by noting the behaviours, collecting multiple observations to enhance reliability, and synthesizing evidence from different contexts to increase validity. A system of note taking and record keeping is created that minimizes writing and recording time. Checklists, inventories and narrative descriptions (such as learning logs) are common methods of collecting observations. These are situations in which children are asked to communicate an original response to a given stimulus. The answer might be a brief written answer, a drawing, a diagram or a solution. Graphic organizers, mind-maps, templates, etc. In a particular grade, it is recommended that a variety and range of assessment strategies and methods are used. Checklists- These are lists of information, data, attributes or elements that should be present. Exemplars- Samples of students work that serve as concrete standards against which other samples are judged. Rubrics- An established set of criteria for rating students in all areas. The descriptors tell the assessor what characteristics or signs to look for in students work and then how to rate that work on a predetermined scale. Anecdotal records- Brief written notes based on observations of students. Continuum’s- These are visual representations of developmental stages of learning. They show a progression of achievement or identify where a student is in a process. A three way goal setting conference at the beginning of each academic year where the parent, the student and the homeroom teacher confer to understand expectations and set broad goals for the student. The student, parents and the teacher collaborate to establish SMART goals, identifying students strengths and areas of improvement which are reviewed in the later conferences. From Grade 1 onward, students are also involved in the goal setting process. These are thrice in a year for Early years and Primary years and twice in a year for senior years. These conferences are in a formal setting where students discuss their learning & understanding with their teachers and parents. We have designed a set of checklist and guidelines for the SLC from the point of students, parents & teachers. The checklist for teachers-SLC (Refer Appendix 2) gives detail about the preparation a teacher needs to ensure before the conference. There are certain guidelines (Refer Appendix 4) for parents which gives them the idea of the SLC & also guides them about their role as parents. Based on the above two references, the student-teacher conferences are designed to give students feedback so they can reflect on their work and further refine and develop their skills. These conferences happen frequently in an informal setting usually in the classrooms. These days are designed to give parents information about the students development needs, behaviour, progress, work habits in an informal setting. It is optional for the parents to attend these meetings and if the parents want to meet the teacher they have to take a prior appointment from the teacher. In some cases, the parents can fix an appointment with the teacher in advance whereas in some cases the teacher calls the parents of student/s with whom she wants to discuss about the students needs and progress. Such meetings provides opportunities to the teachers to gather the background information, to answer parent’s questions, to address their concerns and help to define their role in the learning process. Written reports include the summative records of the students, to be reported to the parents. Reports clearly indicate the areas of strengths, areas for improvement, participation and overall progress of the student in the school. The report is given as a hard copy to the parents. In future we plan to send the e-reports to the parents. The written report for any assessment taken ( Math, Language, Unit of Inquiry etc) should be prepared within a week’s time after the assessment is taken. The assessment reports of each term should be sent to the parents a day before the Parent teacher conference or Student led Conference( PTC/SLC) so that they can go through it in detail. The sequence in which the assessments of different disciplines should be compiled is Unit of Inquiry 1, Unit of Inquiry 2, Language, Maths, PSPE, Arts ( Music, Visual arts, Dance, Drama), Languages ( Hindi & Gujarati) Overall comments, work habits and attendance. A portfolio is a collection of student work and other assessment records that provides a broad picture of a student’s progress over time. Schools has a responsibility to show evidence of student learning. A portfolio is a work in progress and not a product. A portfolio is a record of students involvement in learning which is designed to demonstrate success, growth, higher-order thinking, creativity, assessment strategies and reflection. A portfolio is a celebration of an active mind at work. It provides a picture of each student’s progress and development over a period of time both as individual and group learners. It enables students to reflect with teachers, parents and peers in order to identify their strengths and growth as well as areas for improvement, and then to set individual goals and establish teaching and learning plans. Evidence of learning in a portfolio are from a range of experiences and curriculum areas. The portfolio is used to show the development of knowledge, conceptual understanding, transdisciplinary skills, attitudes and the attributes of the learner profile over a period of time. It may also be used to document student action. Portfolio entries document both the process of learning and the product, including images and evidence of students in the process of constructing meaning. Portfolios are often used as a means of reporting to caregivers and/or used as a part of the three way conference approach. Students are involved in the selection and annotation of their work samples, which encourages ownership of and the responsibility for learning. Portfolios allow for a more individual, differentiated approach to assessment -no two portfolios look the same. There is no need for a fixed structure, so portfolios are more flexible than traditional reports. Every student has a portfolio. Portfolios are kept in the homeroom. Portfolios are shown to parents during PTC but can be taken home only at the end of the year. The reports show the level of achievement reached.The portfolios show the journey towards those levels of attainment. Teachers should help students learn, how to thoughtfully choose which items to include/keep in their portfolios and provide students opportunities to thoughtfully remove items also. Portfolios should be easily accessible to students. Students should understand the purpose of portfolios, the process used to compile them, and be able to explain why specific materials are there in their portfolios. Introductory cover page. (Name, Grade, section & year) This page can be made creatively with child’s inputs. Work samples of students in the form of writing pieces, photographic evidences of individual & group work, models. Student’s self and peer assessment sheets, reflective statement rubrics, checklists sheets to support work samples. Teacher chosen pieces are accompanied by a teacher reflection / assessment page. There are a range of assessment tools represented. The grade level portfolio: The grade level portfolio represents the journey of a the student in a particular grade.This portfolio is in a form of a folder with numerous sheets. The students enter the pieces of the particular grade he/she is in, over the period of one year. At the end of a particular grade, the students, in total select 10 pieces from the grade level portfolio, annotate them & add it in the PYP portfolio. After this process, the student is given this portfolio during the last Student Led Conference of that respective academic year. The PYP portfolio: The PYP portfolio represents the entire journey of the student/s across the PYP years. This means that this portfolio moves with the students every year and is passed on to the next grade level teacher.This portfolio is also in a form a folder with multiple sheets. When the student leaves the school for whatsoever reasons, he/she gets to take this portfolio. Both the portfolios are housed in the students classroom. They ultimately belong to the students. The E-portfolio: Grade 6 has been using the e-portfolios to share their learning in the Unit of Inquiry, Math & Language. The school is working on an action plan where in the future the portfolios will be digitized across grades. Falling into the trap of doing it for the portfolio or selecting a piece/activities that would look good in a portfolio. A portfolio should reflect what has been done in a classroom, not determine what is done. Preparing the portfolio towards the reporting time. If systems are not set up for collecting evidences , annotating records then the portfolio work becomes time consuming. Keep on adding the pieces or activities which do not match with what is to be demonstrated. Adding the pieces that do not have a description, are not annotated by the students and pieces that are not signed by the teacher. The Exhibition is the culminating experience for the IB Primary Years Program. It requires students to synthesize their prior knowledge and to apply it in a self-directed manner. The Exhibition provides an authentic summative assessment for the PYP years. The subject of the Exhibition is a student-selected, real-world problem which warrants an extended investigation. It is a celebration which unites students, teachers, and families in an activity which represents the essence of PYP. The essential elements; Knowledge, Concepts, Attitudes, Transdisciplinary skills are embedded with the IB Student Profile. This is a great platform where they get to demonstrate all the above in a true sense. The sixth grade Exhibition is undertaken by students in their final year of the PYP. The Exhibition represents a significant event in the life of our school, encapsulating the essence of the PYP and encouraging younger students to look forward to their final year of the program and their future participation in the community at large. involves self, peer, teacher & parent assessment. ICT in the PYP encompasses the use of a wide range of digital tools, media and learning environments for teaching, learning and assessing, The Role of ICT in the PYP. Summative assessments: Google slides, Powtoon, Prezi, Emaze etc. The Summative assessment of each unit of Inquiry involves differentiated assessment task which is added in the planner. The formative assessments are taken through various engagements like Learning centres/Exploration tables that involves activities planned according to different intelligences and learning styles. ASSET is a diagnostic test which actually helps students improve. Unlike regular tests which only try to find out how much a child knows (or has memorized), this test measures how well a student has understood concepts and gives detailed feedback on the same, to help him/her improve. Teachers who have strong,learner-centred assessment in their classrooms are skilled observers.They take the time to carefully watch students at work, monitoring their behaviour, interactions with others and the way they approach tasks. Listening to students is also critical for the teachers who engage in quality assessment.What students reveal through their dialogue with each other & with us can be an excellent source of assessment. Analyse student’s work in collaboration with the colleagues to help clarify and moderate your judgements. Look for evidence of the idea or skill that has developed over time. Our role in listening, observing and analysing students learning is only of value if it regularly informs our teaching and reporting. Reflection is an important tool that we follow at Fountainhead to inform the child about their progress. Learner-centered assessment cannot occur in a climate of fear and intimidation.The students will willingly involve themselves only if they feel they are supported in taking risks and admitting to what they find challenging. The teacher has strategist plans to cater to differentiated needs of the students, continually processing the information gathered from the students and using it to inform the next experience. For the purpose of review, a copy of the last reviewed policy is shared with the the teaching community for their considerations & suggestions wherever required. The Academic leadership team is the core team for the review. Taking into consideration the suggestions given by the teaching staff the core team makes essential amendment that are further incorporated in the policy. The next review is scheduled in September 2017. Murdoch Kath, Jeni Wilson. How to succeed with Learner-centred Assessment. Australia, Curriculum Corporation 2006. Print. 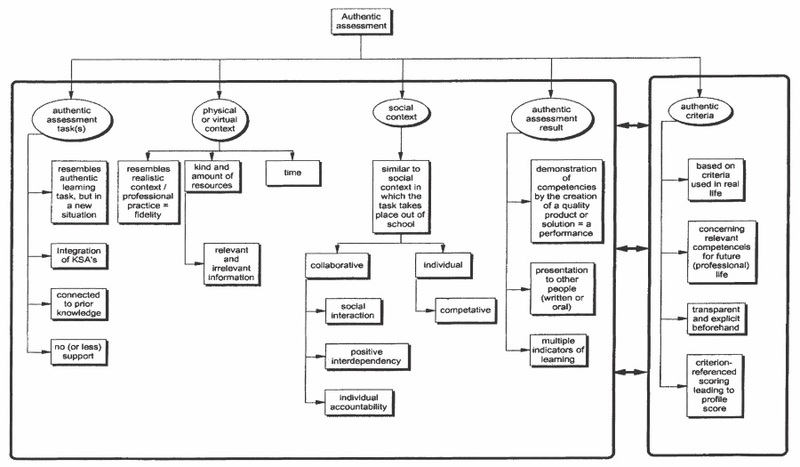 Judith T. M. Gulikers, Theo J. Bastiaens, Paul A. Kirschner, A Five-Dimensional Framework for Authentic Assessment, Educational Technology Research and Development, Vol. 52, No. 3 (2004), pp. 67-86, Print. Setting up the class for SLC table arrangement and displays. Prepare samples of students work to show evidence of growth and goal progress (portfolio). Introduction and description of the student on the front page. Review the list of the things students do well. Make anecdotes on students performance and their contribution. Help students out whenever they need probing. Introducing or describing you on the front page. The purpose of student-led conferences is to open the eyes of students to their own learning and to help them take personal responsibility for their progress. In the traditional parent-teacher conference, students are third parties to assessment, hearing about their progress through the grapevine of teachers and parents. Teachers and parents do play a vital role in assessment but students must also take an active role in this area to maximize their potential for success. In preparing for a Student Led Conference, students see how their strengths, weaknesses and behavior can affect them as learners, thus allowing them to take more responsibility for, and control over their achievement in school. Student-Led Conferences are an experience that can improve the communication patterns of both students and parents. In a Student-Led Conference, students learn how to reflect on their learning, evaluate their progress and communicate this information to their parents. Parents learn how to listen to their children, how to encourage growth and how to best help their child with specific problems. Your child will be in charge of leading you through the student-led conference. It is important that you follow their lead as the timing of Student-Led Conferences is very exact. The children will have a roadmap to guide you through your conference. They will be responsible for telling you about his or her learning in each subject area. This is the most exciting part, you are not in charge! As soon as the student signs in at the classroom and picks up his or her roadmap from the classroom, the student becomes the teacher and you become the student! Please respect the timing of this presentation and save socializing for after the student-led conference! There is a lot for you to see and experience and we wouldn’t want you and your child to miss out on any part of this special day! Express positive interest and anticipation about the upcoming conference. Express pride in growth and progress. Be positive, offering to help in areas where improvement is needed. Recognize that students need to develop independence in communicating progressâ€œ the teacher will be there to facilitate and answer specific questions but will not take charge of the conference. If you could do this work over again, how would you change it? What future goals do you have as a student? During your student-led conference, the teachers will be stationed in their classrooms. They will be there to support students during their conferences, and to share a few brief words with you at the end of the conference. This is really a chance for teachers, as well as parents, to see and hear how much the students have learned during the year! Your first stop will be your childs classroom. You will need to sign in and pick up the roadmap for your Student-Led Conference. From this point, your child will be leading you through your conference. As appropriate for your child, you will learn about library, music, SEN, IT, Art and their classroom work! You will hear your child describe how he or she is doing in each area of study. You will also be viewing a portfolio of work during that particular year that will show you progress, strengths and challenges of your child. You may see lot of smileys in your child’s portfolio and hear many positive comments from the teacher!